Explore the city of Ripon by lamplight. Mass start at 6:30pm Wednesday 24th October. Hopefully the traffic won’t be as bad as getting to Knaresborough Castle for the last event… see you there. Join us in Knaresborough for the Wednesday evening Lamp-O just after sunset (great views from the Castle hopefully). Don’t forget a torch / high-vis clothing (both essential), and enough cash for a beer afterwards in the Cross Keys (optional). Link from the side bar on the right or here. The car park is free after 18:00 , there is other parking nearby if full. Thank you to all the Claro’s who helped plan, organise and run the event at Harlow Hill. A number of you also managed to run, top 10’s were. Will Drewe 2nd and William Hickson 6th on Blue, On Green Allen Banister was 6th and David Gugan 8th , On Short Green Jackie Barnes was 9th and on Very Short Green Philip Judson was 5th and Tim Moon 6th. 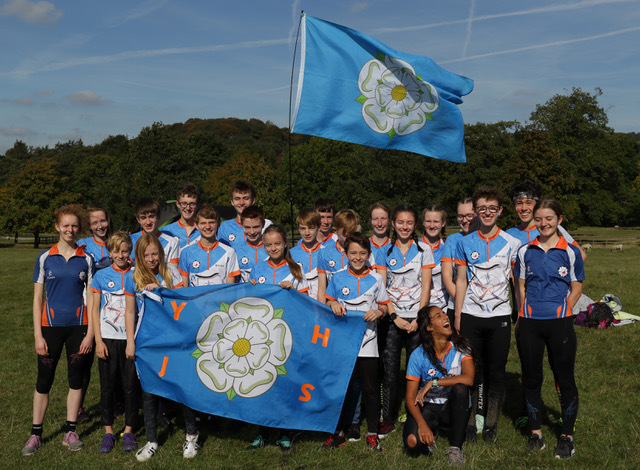 Other Claro runners have provided reports below as they helped Yorkshire come third in the Junior Inter-regional Championships and 1st in the Veteran Home internationals. Sat 20 Oct – HALO Regional Gainsborough Urban. The second of this season’s Autumn leaves is next week Wednesday 10th starting from Knaresborough Castle. Hi-Viz clothing is compulsory and you advised to bring a torch along with something to write the answers with. The format is a 45-minute score event with 30 controls. With Luke & Alex heading off to uni, it was down to me and Lois to be the Claro representatives in the Yorkshire squad at the Junior Inter-Regional Championships last weekend! Saturday was the individual race at Chatsworth Estate, a varied area, with forested slopes, open moorland and 9ft brambles! It’s probably fair to say that some parts of the map were more enjoyable than others. Overall I had a great time though, it was the furthest course I’ve ever done, over 13km running distance, but it was definitely some good experience! If perhaps a little daunting to see how fast people the same age as me can be. We finished the day in 3rd place, but only 9 points ahead of SWOA. With 630am alarms reluctantly adhered to, we headed off to the relays at Carsington Pastures, a very fast moorland with depressions everywhere, vaguely similar to Kilnsey. The planning was excellent, so many gaffles that pretty much every runner was on their own personal course! Despite some teams (cough cough Scotland) taking 1 2 3 victories, all of our teams performed really well against tough competition and we were able to fend off the challenge from South-West & South-East, to hold onto our 3rd place finish, for the 5th year in a row! I had an awesome weekend so a massive thank you to everyone who was involved. As it’s Yorkshire’s turn to host next year, could local knowledge could push us up to 2nd? 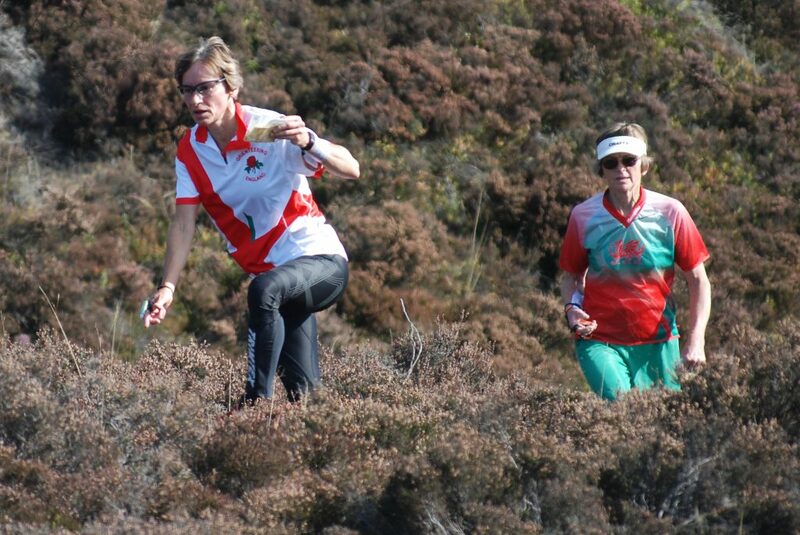 While Claro club mates valiantly staged the event on Harlow Hill, Ruth Ker and Quentin Harding ducked out of their club duties to don England shirts and run in the Veteran Home Internationals, VHI’s. The England team is made up of just 24 people, two per age group M/W35 to M/W65, selected from performances at pre-specified events in the previous six months. Claro was therefore well represented with two members present. 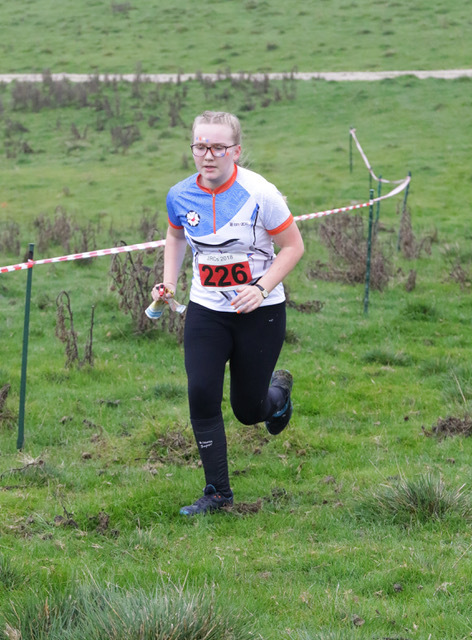 This year the VHI’s were held on contour rich disused mining spoil heaps in the valleys of South Wales, with an individual event on Saturday followed by a relay on Sunday. This is a competition where everyone counts, so it calls for everyone in the team to finish well without mishap. 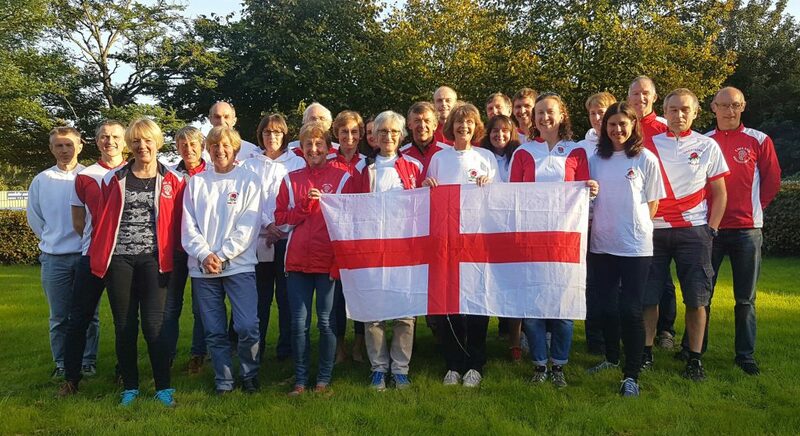 In the individual, Ruth finished third in W50 while Quentin was second in M55, this helped England to a commanding first day lead over the next team Wales. 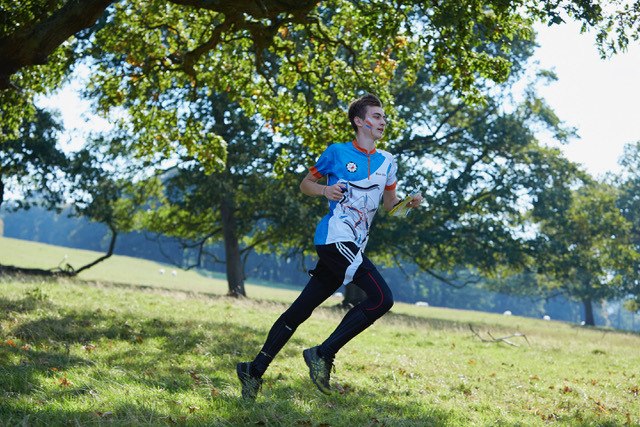 The relays are mixed teams of age and genders to achieve defined age totals for which Quentin and Ruth were selected to run together in one of eight England teams. Quentin came home from the first leg to send Ruth out first on the second leg. She handled this pressure well and came back in second place 28 seconds down on the lead. Andy Simpson LeiOC ran a great third leg to bring this team home in first place and gave England a 1st, 2nd, 3rd, and 6th teams in the ManWomanMan category. Mike Hind has been advised that the compass sport team are consulting about making a change to the Veteran Short Green course for the Compass Sport Cup from 2019 onwards based on feedback on the incompatibility of the participants on this course and the increasing trend in the number of participants, up from 13% of all entrants in 2013 to 16% in 2016. They are not considering any other changes. This proposal splits the Veteran Short Green course for scoring purposes and fits together the age categories with as near a fit as practical, based on the running speed ratios in the BOF Rules/Guidelines. One: Should we do this? A copy of the current rules can be found here. 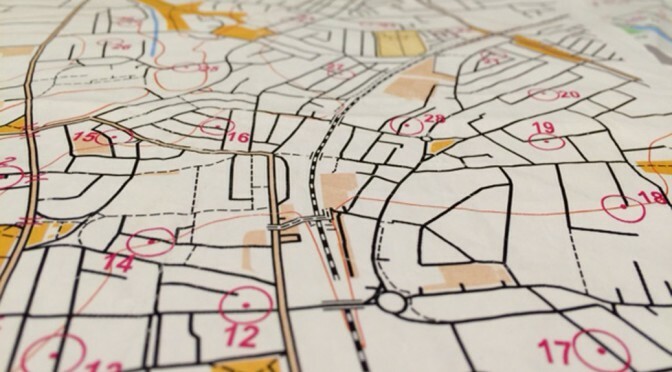 The Orienteering Foundation are running an adult course on Saturday 10th November cost is a very reasonable £12 for individuals or £6 for groups. Richard is willing to run a group if there are enough takers. There is the option of the LOC event on Holme Fell on the Sunday. Details are here. Whilst most MTBO events in the UK are long score events I received the following from the BMBO chairman this week. At long last it looks like we might have a mini MTBO series this year. Ben Martin has finally managed to get permission from the Forestry Commission for an event at Gisburn on 6th October. Whilst Mark Stodgell still has his fingers crossed that the event on Cannock Chase on the 24th November is OK. The series will be decided on best two from three so still, chance to count. Full details will be appearing on the BMBO calendar soon. It has taken a lot of hard work from organisers to get access for these events so please make every effort to support them. The Gisburn event at about an hours drive away would be a good location to try the sport out for those interested and I can supply blank maps from previous events for anyone interested.